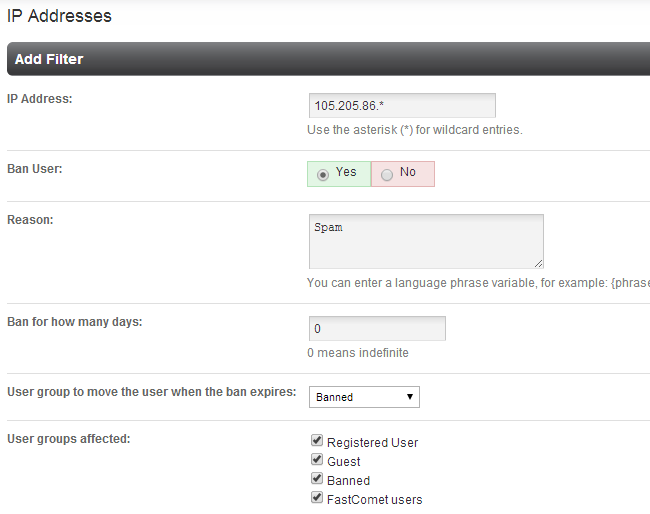 With each community, we always have the need of restricting the access to our websites for certain people. There is a good feature in PHPFox that will allow you to do just that. 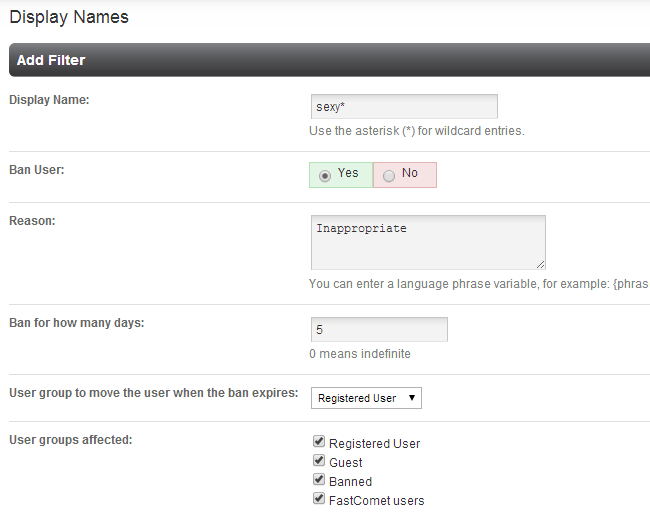 To ban a member on your website, you need to access your website as administrator and then click on the AdminCP button at the top-right corner. Click on the Tools button at the top menu and then Ban Filters > Usernames. Click on the Add button to create the actual filter. Click on the Tools button at the top menu and then Ban Filters > Emails. 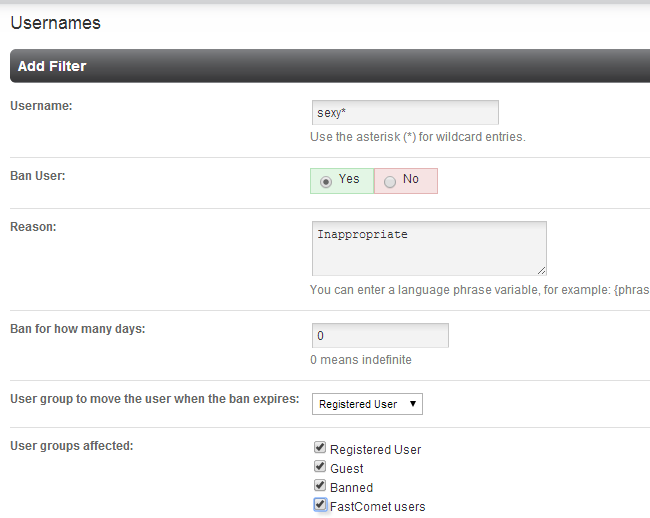 Click on the Tools button at the top menu and then Ban Filters > Display Names. Click on the Tools button at the top menu and then Ban Filters > IP Address. 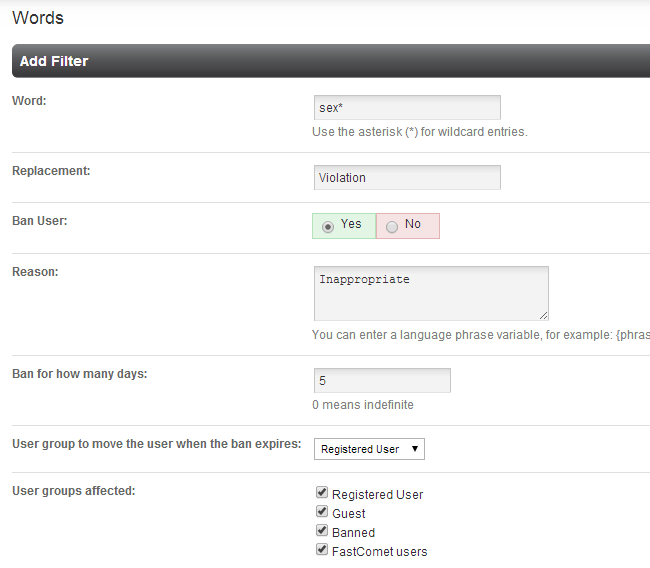 Click on the Tools button at the top menu and then Ban Filters > Words.